In the coming weeks we’ll be hearing plenty from the Olympic athletes about their Rio accommodations. 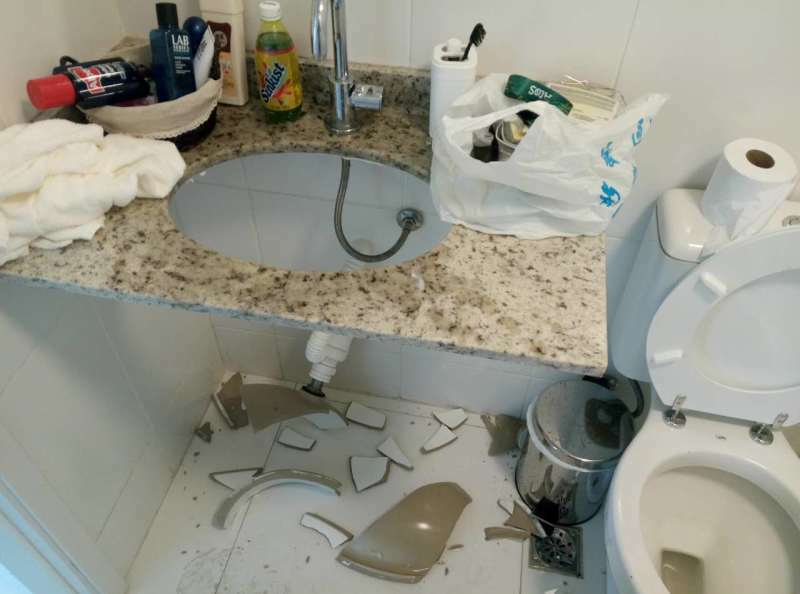 (The Australians, who declared their rooms “uninhabitable” due to leaks and exposed wiring, must be feeling great after they were not alerted to an emergency evacuation on Friday due to a small fire—the building’s fire alarms had been deactivated.) But today’s about that group of people who likes to complain in even the best of situations: the media. Reporters have started to arrive in Rio de Janeiro and get settled in the media village, part of which is quite literally built upon a mass grave for African slaves. And while there’s more to come, early returns put us in mind of the comical shoddiness of Sochi. The condition of the media village, which was constructed as a condo that will be sold to private buyers after the Olympics, should be low on your list of priorities for sympathy. (At the top would be the infrastructure improvements promised by Rio in its Olympic bid—like $1 billion in water treatment programs—that simply never happened. These reporters will be out of here in three weeks. Rio residents pumped their tax money into projects that won’t benefit them at all.) But the slipshod construction is another symptom of the true Olympic Movement: the flow of money to all the wrong people.